Following the shocking sudden collapse of Wow Air last week, some began to wonder if the era of super-cheap airfare to Europe was on its way out. It may still be too soon to tell if that's the case, but for now, you can rest assured there are still transatlantic bargains up for grabs. 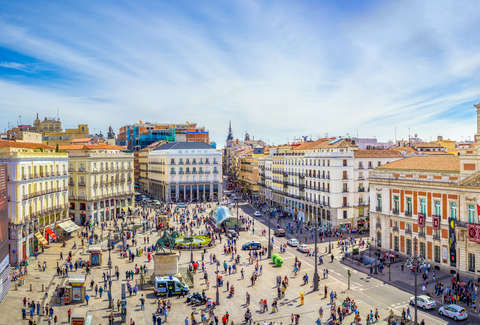 As of this week, you can score round-trip flights to dozens of European cities from all over the East Coast for around $300. 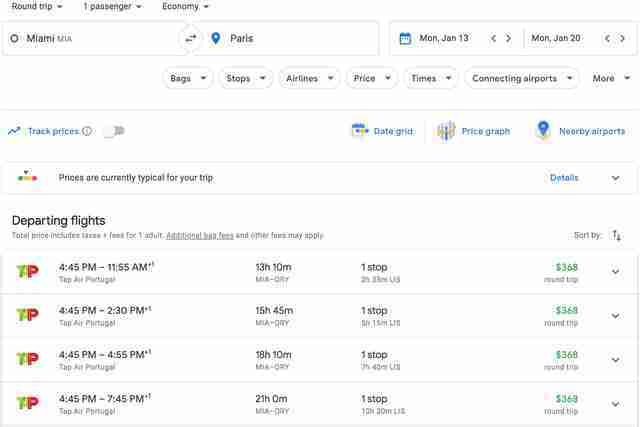 If you've been meaning to book a trip abroad in the next year, now may be the moment to do it because there are a lot of good deals on flights to dozens of European cities, including hotspots like Paris, Amsterdam, London, Barcelona, and Rome. You'll need to act fast, though, because the glut of these affordable airfare deals, which were first spotted by the folks at Scott's Cheap Flights, are only expected to last one or two days. 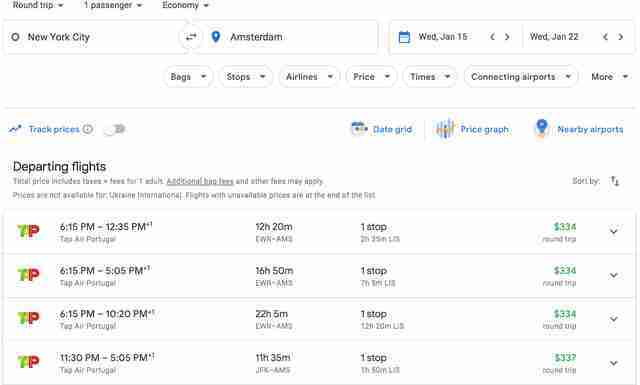 The most budget-friendly fares of the bunch are generally for flights during January and February 2020 (can't hurt to plan ahead!) that depart from Boston, New York, Miami, and Washington, DC. As of this writing, there are still lots of flights up for grabs to everywhere from Stockholm to Venice around then that are generally around in low to mid-$300s. Here are a few of exceptionally affordable sample itineraries we found via Google Flights. Almost every super-cheap flight of the bunch is on TAP Air Portugal, and by and large all of these flights include a layover in Portugal. You may want to consider that a bonus, though, since you could easily use it as an excuse to add a fun little pitstop in Lisbon or Porto on the way to or from your ultimate destination. Who says it's too early to start planning your 2020 travels?